You know that saying- "Necessity is the Mother Of Invention"? Well that is totally the case here. Some might think that a wine bottle holder isn't a necessity but I beg to differ. I'm sort of a hoarder of wine- if I see it on clearance at the grocery store I'll grab a few bottles. 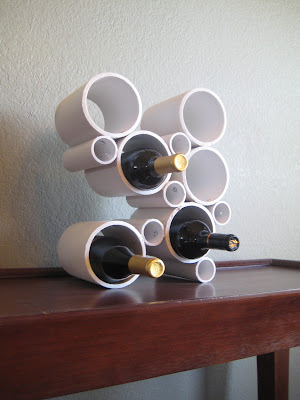 It's a great way to try new wine and have some on hand for when company comes over. In our old house we had a huge pantry and my wine hoarding wasn't an issue. In our new house we don't have a pantry, so my wine has been collecting underneath one of the cabinets. Hard to reach and difficult to find what I'm looking for. 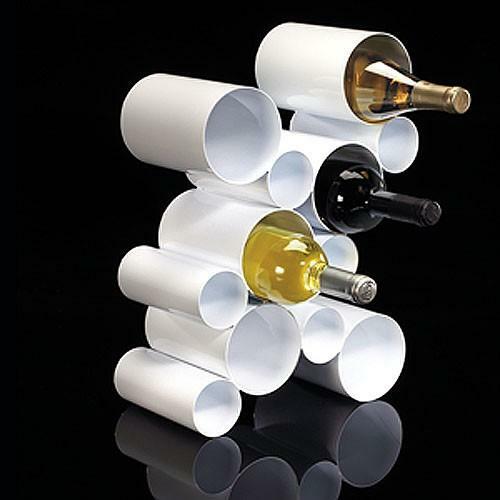 I saw this uber modern wine holder online at Umbra for $150 + shipping. Ouch. It's made of metal and pretty awesome, so I guess I understand the high price. Since buying is not an option I thought about how I could DIY this baby instead. 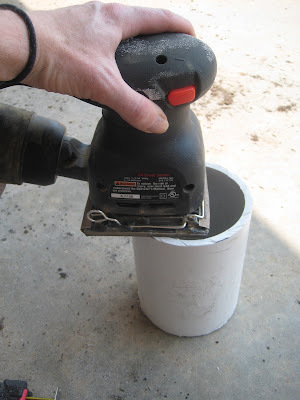 And since I've been raving about my Dremel Tool lately this is a good tie in. I bought lengths at the hardware store. It was a little over $1 a foot. You can have them cut it down to the length you need so you won't have to buy a big giant long pipe. I used 4" and 1.5" pipe. 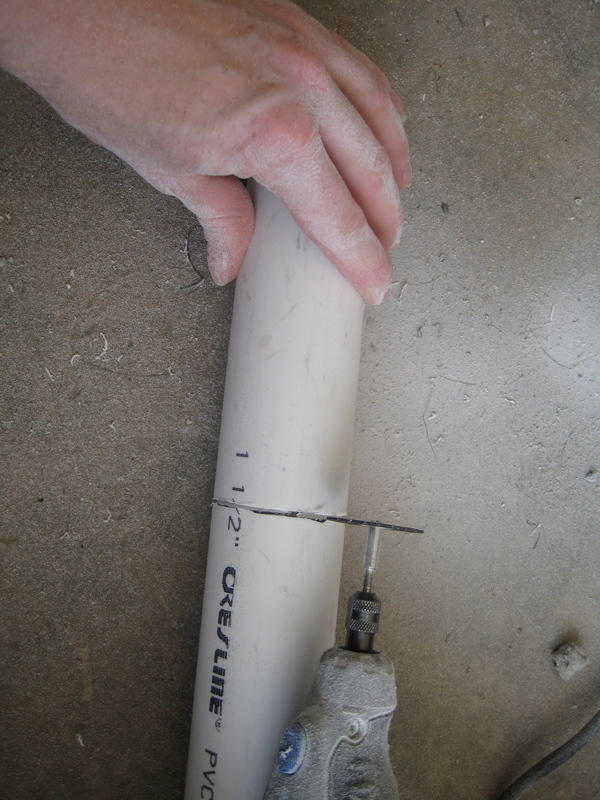 I used the plastic cutting bit of my Dremel to cut the pipe down further to 6" lengths, 6 of each size. You can use a mitre saw or hack saw to cut the pipe if you don't have a Dremel. Be sure to wear eye glasses and a mask- pipe dust gets everywhere! My main issue next was how to attach the pipes. There's plenty of ideas of how to attach them end to end, but side to side was a different story. I decided to use a mixture of screws and epoxy glue made for plastic. 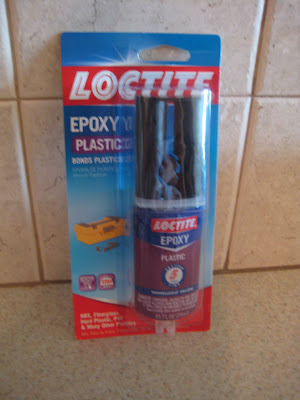 (*Note: I have recently learned that Pluming Adhesive would be best for this!) I used #8- 32 x 3/4" machine screws. We don't have a real hardware store in our town so this is the best Walmart had. They are long enough to fit through the 4" tubes where they connected and not to long on the ends where the 4" and 2" tubes connect. I marked the edges that needed screws then drilled 2 holes on either end 1" in from the ends. Now I can display our wine and not have to dig around for it in a cabinet. I'm like, a real wine connoisseur now. How about you? Are most of you projects based on need? Wow! I'm impressed! That turned out great! This is so great! It will make a good Christmas gift for my mom:) Pinned it. Thanks. You did it and it is amazing. What a great idea. It is just fabulous!!!! That looks just like the original. And you can't even see the screws after painting. Looks great. I want one. What a fantastic idea! turned out great. Thanks for inviting me over, I'm now following your site. Need? My husband would be so thrilled if I kept the list of projects down to what we need. Desire is probably a better descriptor of what our projects are based upon. W O W!!! i love it! great job! I love how cool and contemporary this turned out. Almost like art! What a wonderful job. It would be so nice to see you at our link party Crafty lassie Tuesday at http://sewstylishboutique.blogspot.com/ Also, we are having a cool give a way and it is so easy to enter. Hope to see you there. What an awesome DIY project! I could really use this, I love my wine! :) I'd love for you to link up at my link party! Hope to see you there! that is SO neat! i may have to make one for a christmas gift for someone- too cool! Now if only I had unopened bottles of wine for this! good job! very modern looking. i love it! 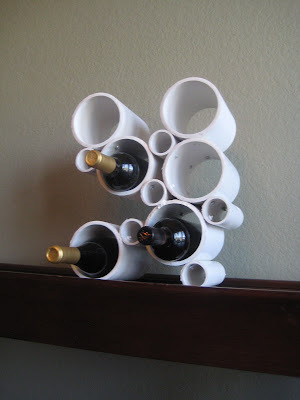 That's clever use of PVC. My DH has tons of those cutting in the shed. Now you got me thinking. Pinned so I don't forget this post! Love how simple and modern this looks! 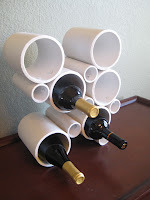 Very clever use of pipes. This is gorgeous.. and for $20 it's remarkable! This is beyond clever!!! I LOVE the idea! Great tutorial, too! I would LOVE it if you'd link up to my Friday link party: T.G.I.F. (Thank God I'm Finished!) at Rummage Living! For projects big and small! Really it's for my own benefit as I get to see all the awesome projects that are out there, haha! 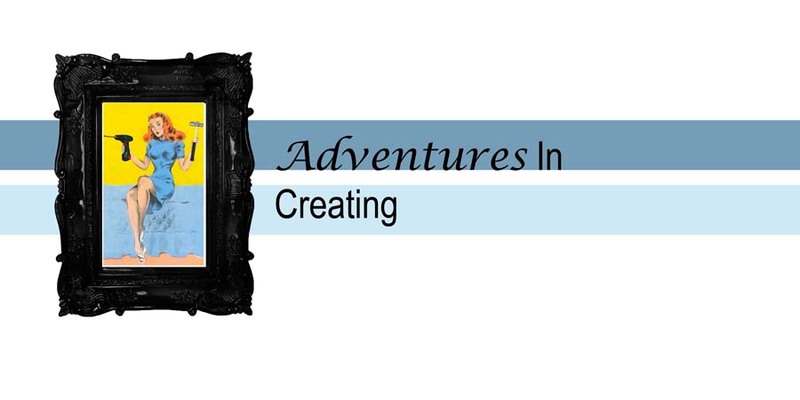 Hope to see you there- great blog, by the way- I'm having such fun poking around on all your great tutorials! 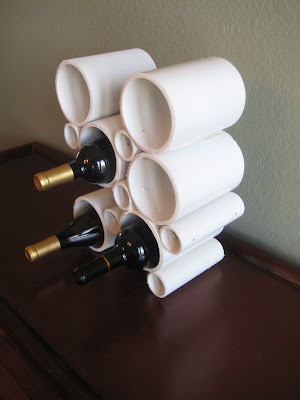 This is such a cool and comtempory wine rack and you are so clever to think of it! Thanks for linking to Potpourri Friday and helping to make it a success! I appreciate you and hope you wil link up again next week! Would love for you to link it up to Fabulous Friday! Thanks for sharing! You are being featured this week at Lines Across My Face. 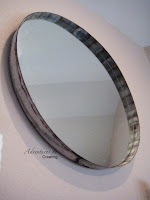 Wow your version looks amazing - and is clearly much more cost-effective! 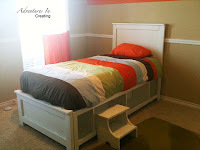 Wish I had the space / tools/ abilities to do projects like this! What a nice idea, I'm luvin it. And it was a nice project with a great outcome for a lovely price. Even if you don't have open space it would work nice in a cabinet also. KUDOS to you. Job well done. fabulous. fab.u.lous. i'd love this, and i'd love this hanging as plain ol' art, too! 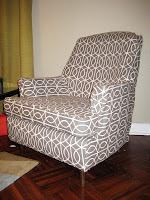 Saw this on Hometalk and I loved it! 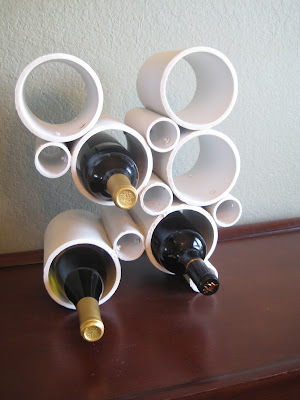 Really creative use of something that people throw away! 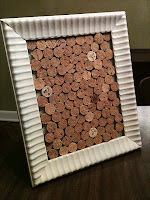 PS I pinned this to the Hometalk "DIY that Inspires Board"
me encanta! creo que voy a apuntarlo a mi lista de tareas pendientes! 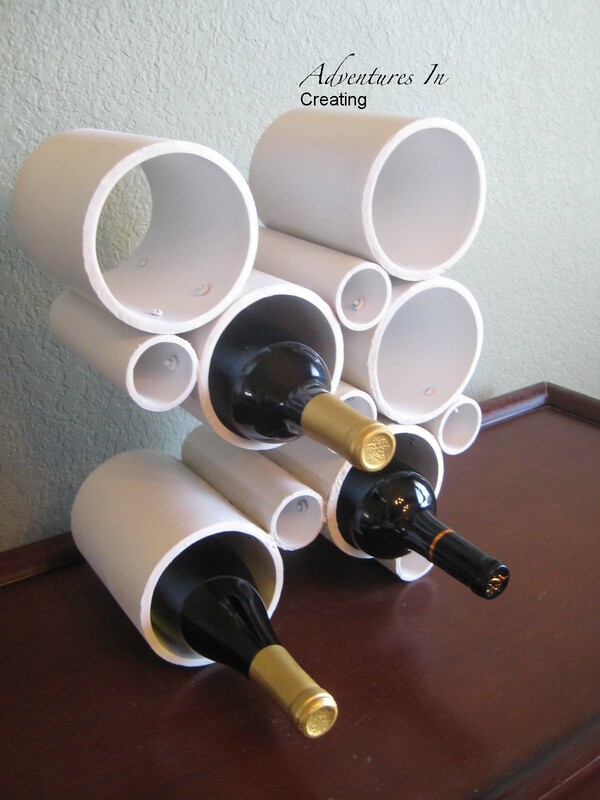 This is awsome wine rack! I think I should make this for my brother's birthday. I want to see this design in 12 bottle wine rack series. I became fan of it. How did you screw the screws in well in such a tight space? Great job replicating the original. I would never know the difference! Wow! That is so creative! It looks so modern and simple, yet so cool. I love making crafts like this. I am glad that there are other people that share my interests, and it's so great when people can bounce ideas off each other. Thanks for the post! Got Space? Let's Plan It!